Though Indian Point Two’s license expired September 28, the reactor will continue to operate until the Nuclear Regulatory Commission renders a decision, which is not expected for several months given the ongoing case review. Paul Gallay is president of Riverkeeper. Gallay, who was a speaker on the panel at Rockland Community College, says having Baldwin calling for the shutdown of Indian Point lends a strong voice. Paul Steidler disagrees. He is spokesman for New York AREA, or Affordable Reliable Electricity Alliance, of which Indian Point parent Entergy is a member. Democratic Assemblywoman Ellen Jaffee was also a panel member. She says the Assembly has passed her bill but she cannot find traction in the Senate. Joseph Mangano is executive director of the Radiation and Public Health Project. He is introducing a citizen monitoring program. Mangano put out a report in 2009 pointing to higher incidences of cancer, particularly thyroid cancer, in areas surrounding Indian Point. New York AREA’s Steidler says many scientists and government health agencies have looked at the issue of potential radiation exposure from nuclear power plants and find no negative health impact. That’s John Kelly. He is retired from Entergy, having served as director of licensing for Entergy’s Northeast Operations. He was also radiation protection manager. Governor Andrew Cuomo has come out in favor of closing Indian Point. The license for Indian Point 3 expires in December 2015. 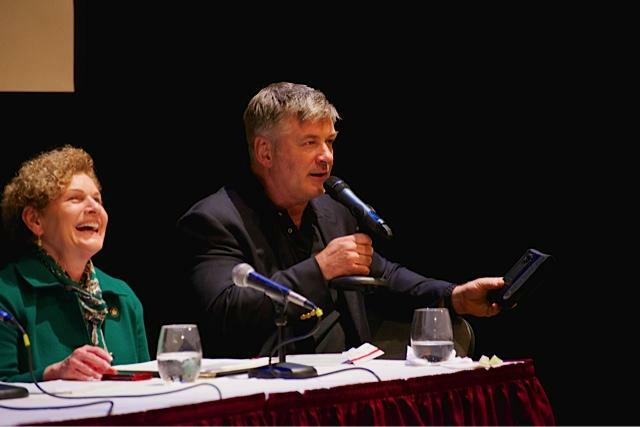 Actor Alec Baldwin is hosting a panel discussion Friday evening in New York’s Rockland County. The event is presented by the Radiation and Public Health Project. The topic is the Indian Point nuclear power plant. After many calls to reschedule public hearings regarding Rockland County’s controversial water plans, New York’s Public Service Commission has come up with new dates.